This studio is the fruit from the germination of Armand, Karine and Lily’s ideas. They combine their forces to create the universe of Fleur d’asphalte. In their different interests there is one point in common; the crossbreeding of all moving discipline.The studio’s mission is to favour training, creation and diffusion for all professional dancers. Fleur d’asphalte studio’s specificity is that we offer professional level classes at a different schedule to those who can’t attend the well known 10 ô clock class. Fleur d’asphalte is alspo a space for creation and exchange amongst movement artists. And because the 3 leader are conscious about the extension of their passion the studio offers beginner classes to initiate and spread the love of dancing. 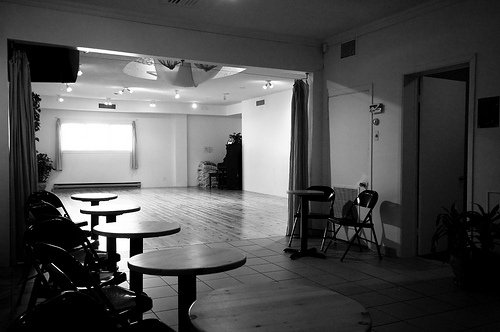 The studio is also available for special event, you can propose a project and we’ll see how we can help make it happen.